Ok, it’s official: the NEC Medias N-04C is indeed the worlds slimmest smartphone as we suggested recently. Now we have the full specs of the device besides the record-breaking thickness. Unfortunately, the NEC Medias is bound for Japan’s NTT Docomo carrier and we probably won’t see its face around our parts of the world. The Android smartphone should be released there in the middle of March. Specs-wise the NEC Medias should offer Android 2.2 Froyo upon launch. 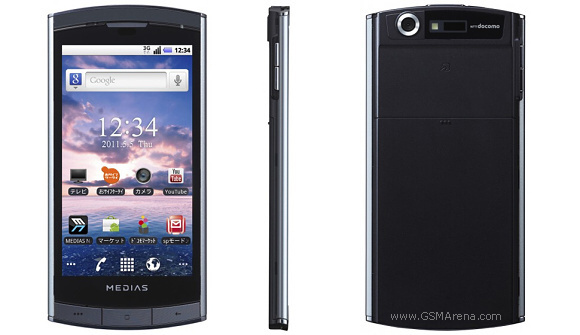 There’s also a 5.1MP camera, a 4-inch LCD of 854×480 resolution and the hot 7.7mm razor-thin profile. All this fitted in a body of just 105g. The screen of the device is protected by some Gorilla Glass. The Samsung Galaxy S II held to the title of the world’s slimmest smartphone for almost two weeks fighting it off with the Sony Ericsson XPERIA Arc and the LG Optimus Black (not to mention the Apple iPhone 4).